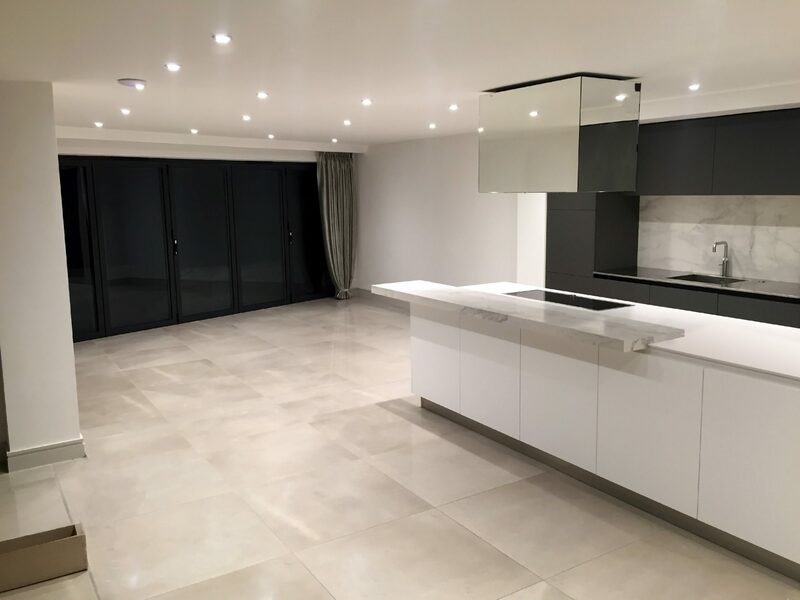 Using LED Strip under the the cabinets and worktops, around the ceiling, and along the kickboards, we created a very modern and minimal look for this new kitchen. 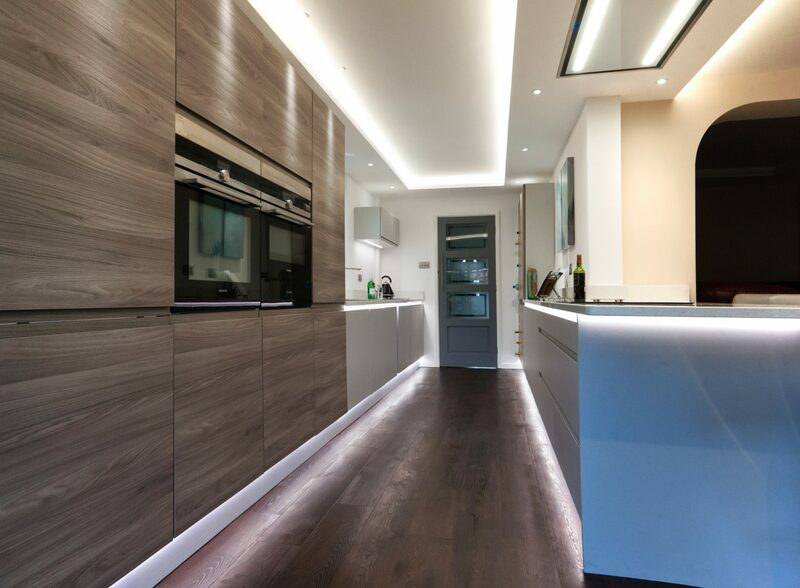 This fabulous house required modern lighting to match its contemporary design. To accomplish this, we used high powered 9W, recessed, thin bezel, anti-glare downlights throughout.